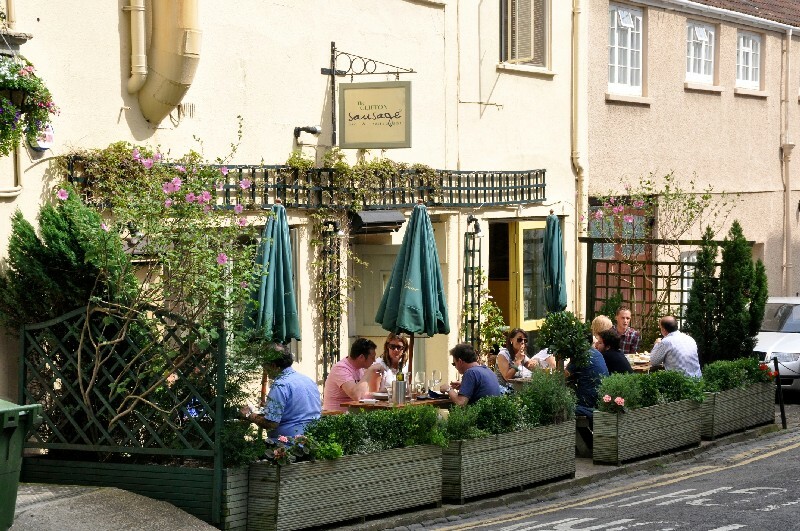 If soaking in the atmosphere of Clifton VIllage is what you wish to do, then make sure you keep yourself fuelled by fish and chips that are far from soaked in grease. Here you will find the tastiest, juiciest, and healthiest fish and chips around. All locally sourced and freshly prepared. This company knows how to make fast food healthy. They also boast low carbon footprint and energy usage due to new super-efficient cooking equipment and use recycled materials to serve your food in. Take a stroll to the grassy areas surrounding the Clifton Suspension Bridge to take in the sights. While you’re near the Suspension Bridge you might notice one of the largest terraces in the South West. Guaranteed to be packed full of locals and visitors alike in the summer. 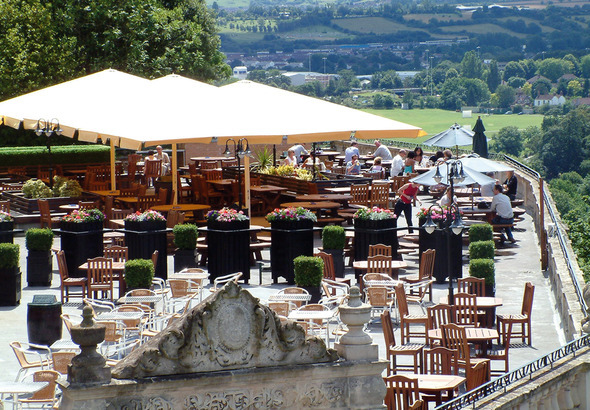 The White Lion Bar terrace is a place to visit for a morning coffee and slice of cake while taking in the panoramic views of the famous Suspension Bridge, or swing by later for a relaxing pint or two. Best enjoyed in the sun, but make sure you find a seat before it fills up! 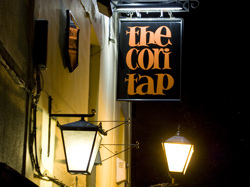 If it’s West Country cider you’re after then make sure The Corrie Tap is on your list. Famous for it’s Exhibition cider which is only served in half pints due to it’s alcoholic percentage you’ll be sure to have a good time. Find a nook or cranny to set up camp in this popular pub and see for yourself why the locals love it so. Hosts of the ‘Corifest’, Clifton’s informally named event of the year, this is the place to come if cider is your weakness. With live music and plenty of cider you’ll be sure to have a memorable time. But beware, some have been known to get a little bit too ‘corried’! Celebrating everything a proper pork sausage can offer. This unpretentious restaurant offers at least six sizzling sausage varieties at any one time. All sausages are served with mash and gravy and are best washed down with a pint of local ale. For those who are not fans of mash, try the toad in the hole with your own choice of sausage. Compliment it with a bottle of wine from the ‘Easy Glugging’ or ‘Big and Serious’ reds list and you’ll be sure to enjoy your rustic West Country meal. If it’s wine you’re after then Clifton Village will have you well catered for. Try the Quadrant for tasting by the glass, or if you’d rather discover something new and take it home to enjoy, Davis Bell McCraith is the shop for you. 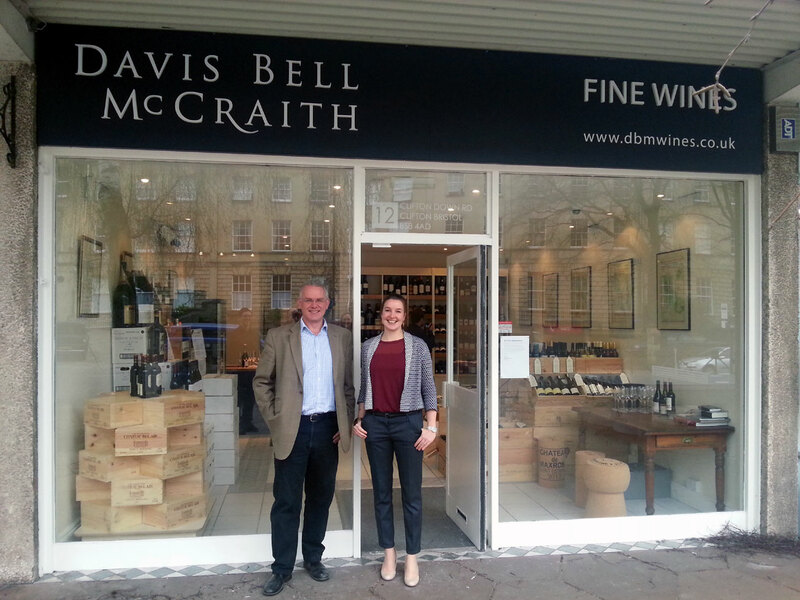 Run by enthusiastic and highly knowledgeable people, here is a place to buy genuinely good wine that has been well sourced for a great price. They’ll even advise you on any fine wine you’re tempted to invest in. Having left knowing a lot more about wine than I had on entering, Richard’s enthusiastic and engaging manner was a pleasure to behold. My bag may have been slightly heavier too! If you’re a fellow shoe fanatic then walking by the window of this local shoe shop will have you glued to the spot while you admire their selection. The luxurious leather shoes on display will draw you in for a closer inspection, and before you know it you’ll be sat inside trying on your favourite pair! Stocking a selection of Loake, Barkers and Jeffery West this is a place where real shoe craftsmanship is available. The stunningly beautiful selection of brogues, loafers and boots will have your mouth watering. 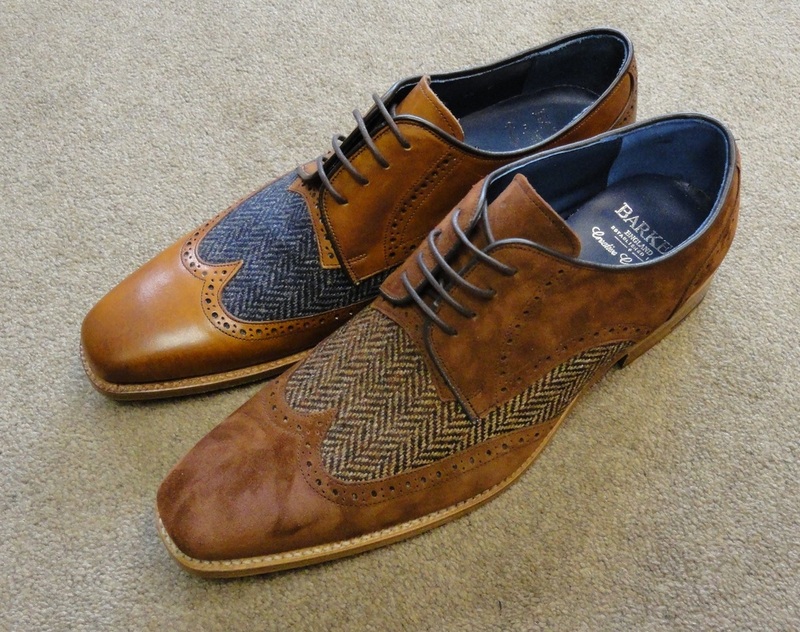 My personal favourite are Barkers ‘Jackson’ brogues with blue tweed inlay. There’s also an equally gorgeous selection of Steffano Marchi and Vitti Love shoes for all those female shoe fans. 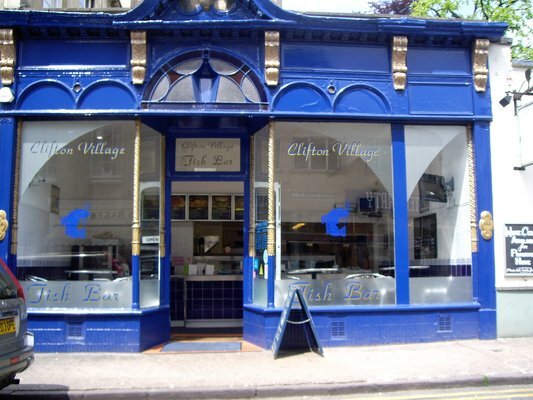 If you’re a fan of all things vintage, retro and antique then Clifton Village will have you enthralled for hours. There’s Focus on The Past, a quirky furniture and antique, shop where you can spend hours looking at little trinkets, books, kitchenware and rugs. The Pod Company offer fun and interesting home and lifestyle gifts, or Sense and About Face stock affordable leather bags and wallets, scarves, jewellery and other handmade gifts. There are other boutiques and book shops to be discovered too. Make sure you pop into Clifton Arcade as well – full of vintage clothing, accessories, art and antiques. 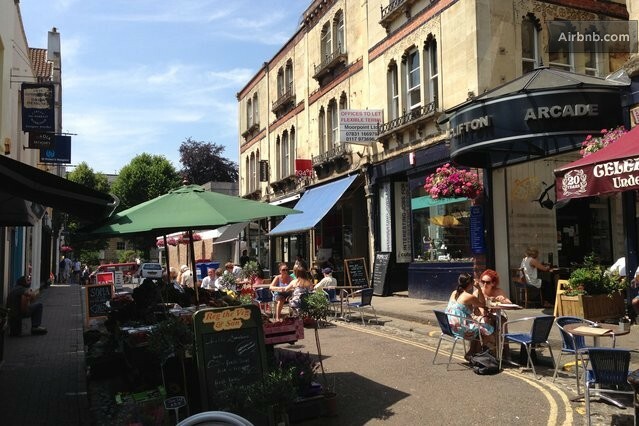 After your little shopping spree find an independent coffee shop on Boyce’s Avenue to sit outside and reflect on your day in Bristol’s not-so-sleepy Clifton Village.